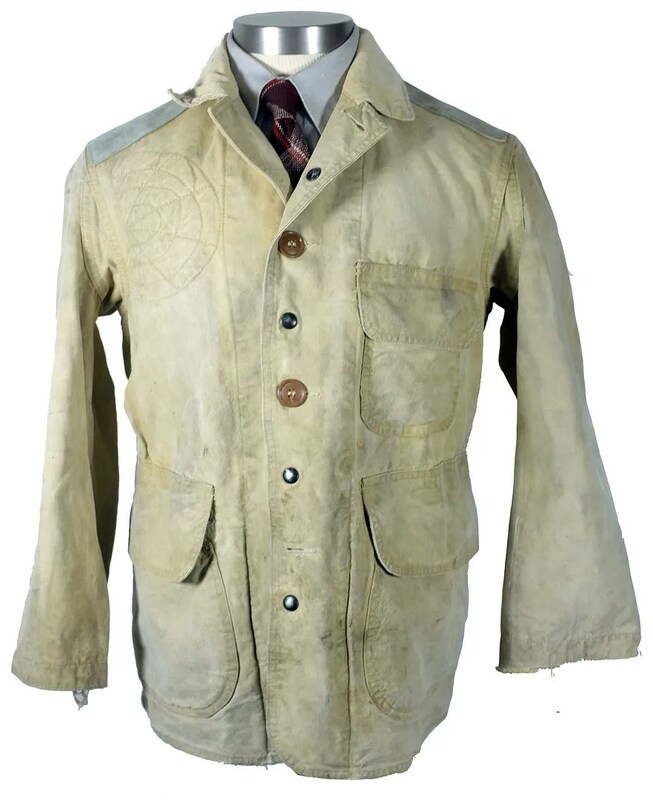 This vintage hunting jacket was made in the 1940s by the Hettrick Mfg. Co. of Toldeo, Ohio, under their American Field Gun Coats label. It is made from heavy canvas with a corduroy collar, roughout leather reinforcement at the shoulders and spacious pockets. 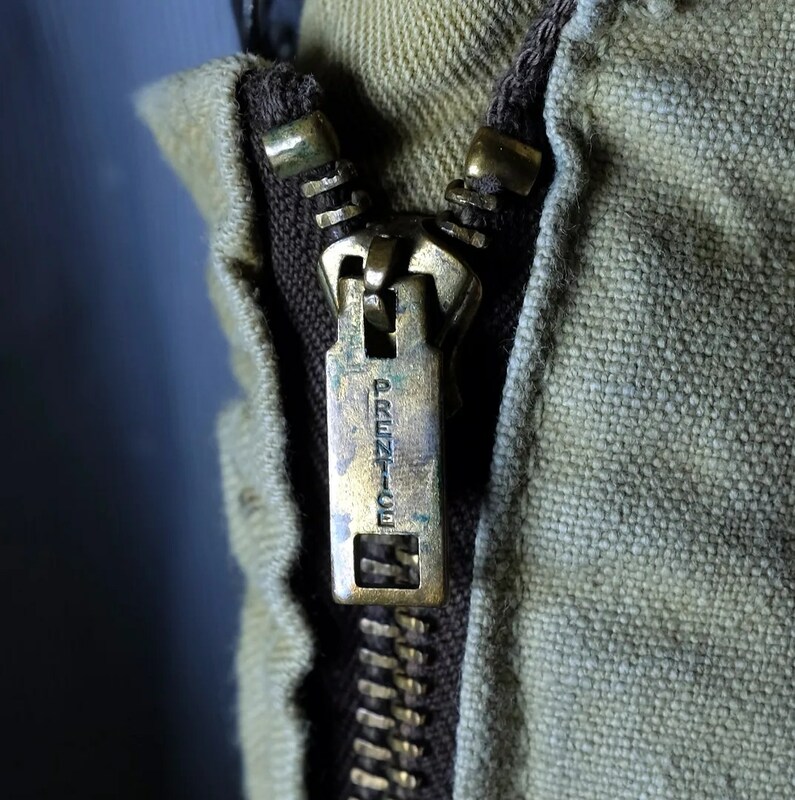 The game pouch opens with two early manufacture Prentice zippers. 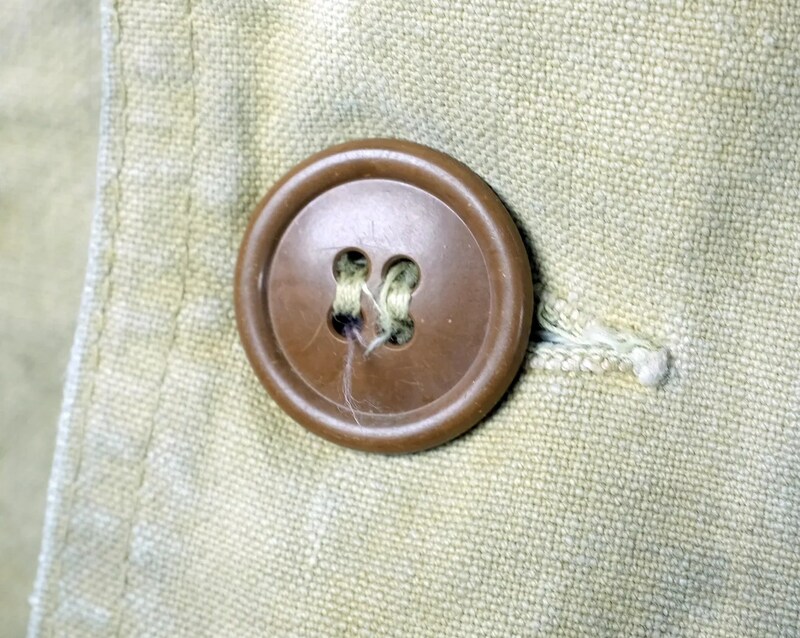 At some point, a previous owner has doubled up on the front closure, adding snaps between the buttons. 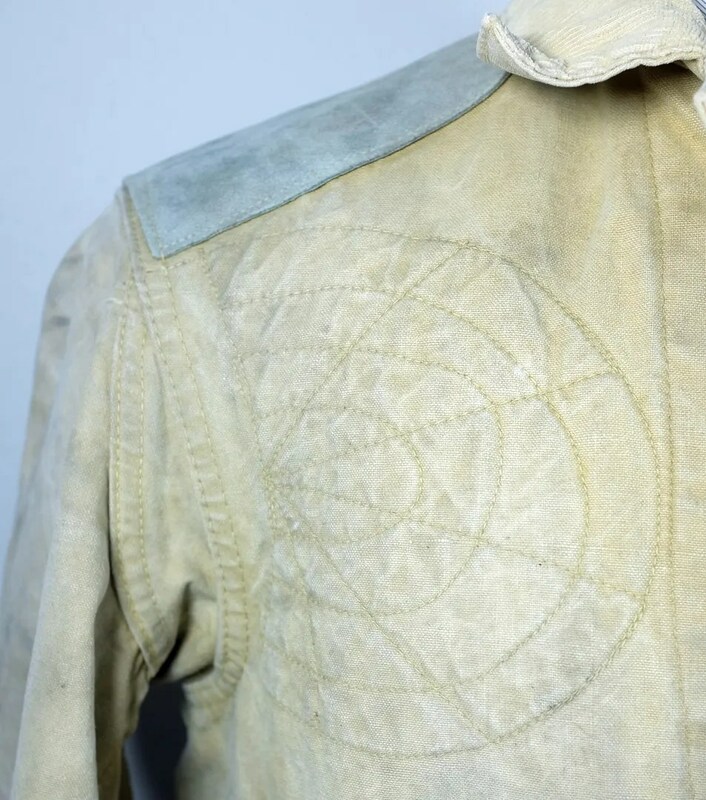 This coat dates from American Field’s glory years, prior to their sale and relocation to North Carolina in the early 1960s. The Hettrick Mfg. Co. was founded in 1893 (or 1891, depending on the source) in Toledo, Ohio as a manufacturer of canvas goods, largely awnings and wagon covers. 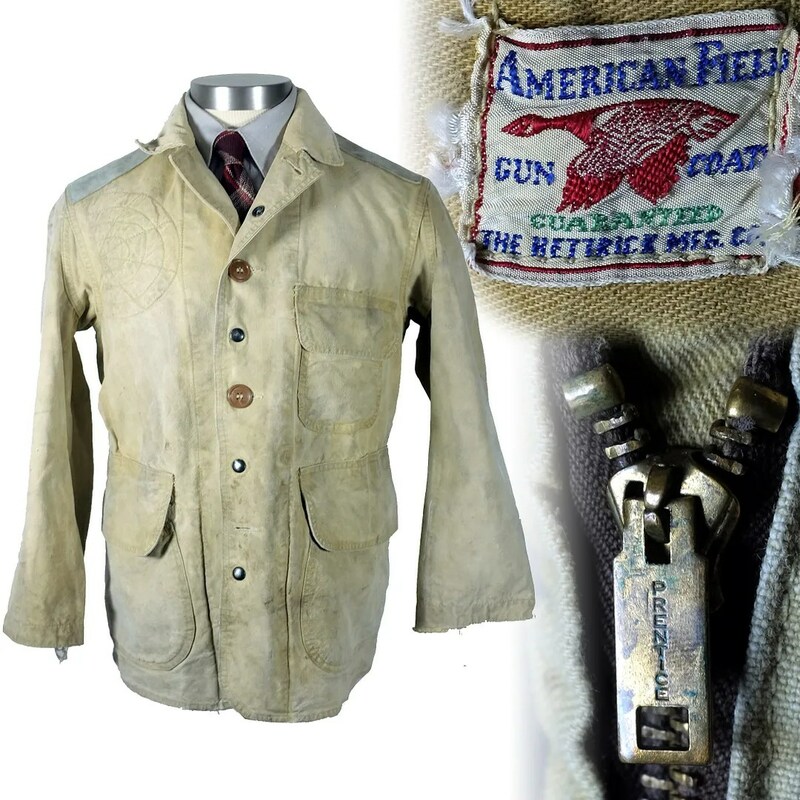 In 1921, they launched the “American Field” line of hunting garments. A bit of a late comer to the hunting game, they advertised their coats as designed by an “old timer”. Their factory was located at 1401 Summit Street, Toledo, Ohio. 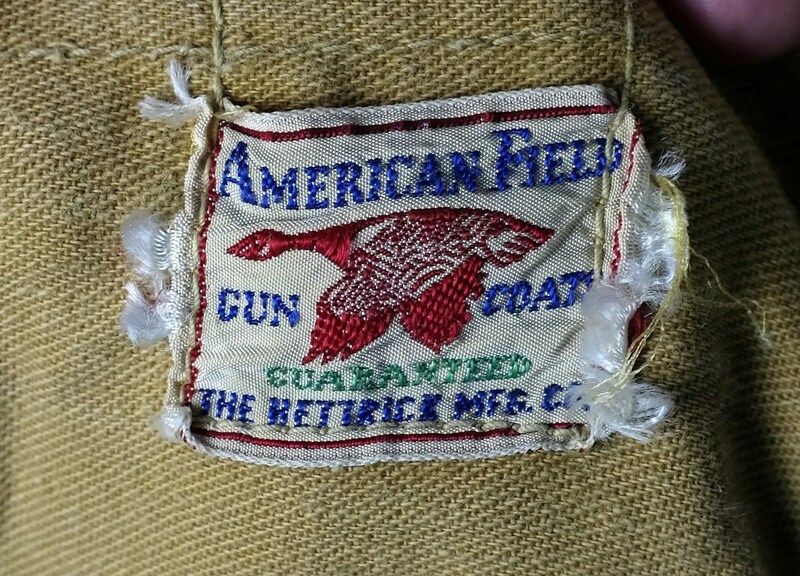 Unlike most of the other manufacturers of hunting clothes, Hettrick maintained their other interests after entering the hunting market, producing everything from canvas lawn chairs to tricycles. Hettrick was purchased by the F&M Real Estate Company of Lowell, MA and in 1962, Hettrick closed its Ohio factories and moved to Statesville, NC to take advantage of the lower cost of manufacturing in the south. They moved production into the factory of the Empire Manufacturing Corp, who continued producing their own line from the same plant, with a secondary factory in Pink Hill, NC. It is unclear whether they were purchased by Empire, sources are conflicting. Empire ran a strongly anti-union shop, threatening employees in 1968 if they unionized. They were sued by employees, the threats were found to be unlawful and the case was used as an example in a Congressional subcommittee on labor. Shortly thereafter, in 1969, American Field was acquired by the Olin Corporation, manufacturer of Winchester rifles. In 1970, the Hettrick divistion acquired the J. W. Johnson Co of Bellwood, Ill and Dickey Oakwood Corp of Oakwood, Ohio. In 1971, Hettrick merged with Comfy Seattle Co and became Trailblazer by Winchester, “managing transactions for Comfy, the Turner Co., Olin Skiis, J.W. Johnson, Dickey Oakwood”, as well as factories in Pink Hill, Statesville and one in Corcoran, California built in 1970. While Hettrick as a company was absorbed, the Hettrick brand continued to be produced, with production shifted to the Pink Hill plant, reflected on labels. By the 1980s, the operation had been sold again, to WeatherShield Sports Equipment, Inc. (founded 1951) at Petoskey Rd. At Mercer Blvd., Charlevoix, MI. 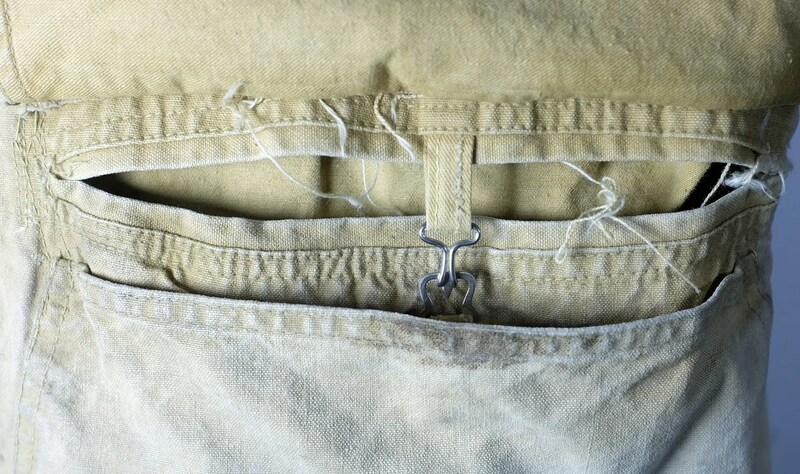 They lasted at least into the 1990s. 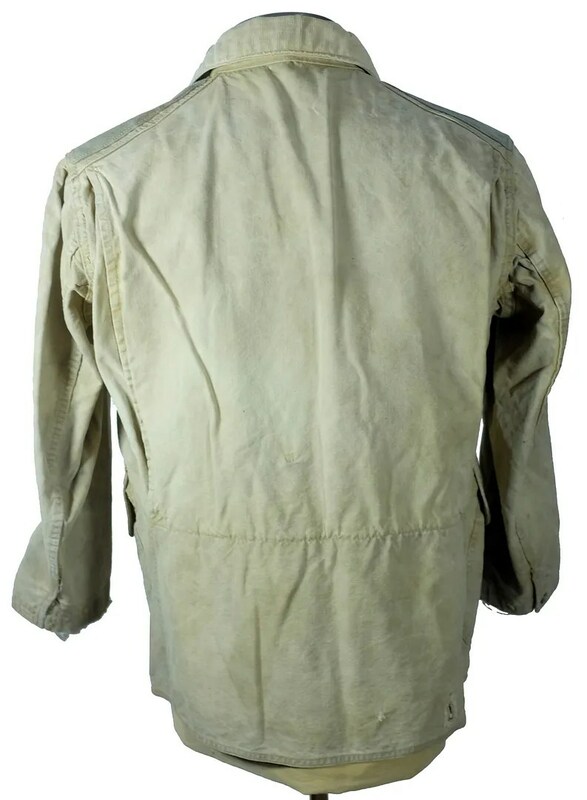 This entry was posted in Jackets and tagged American Field, canvas, hettrick, Hettrick Mfg Co., hunting jacket, jacket by Spencer Stewart. Bookmark the permalink.